A part of the recent renovation of the Community Center, the Indoor Swimming Pool features all new furniture and decor, as well as a fresh look on the walls, and new lighting. 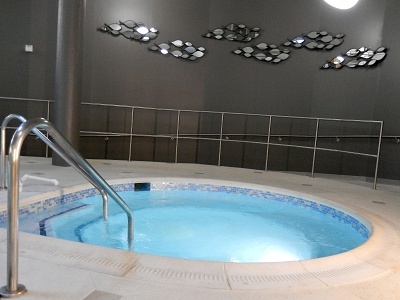 Saunas are located in both the Men's and Women's Spas. Hours: Wednesday-Monday from 11am - 9pm. Closed Tuesday.